After warming up, the team focused on set play - perfecting corners and flank free kicks. Oleh Danchenko and Maksym Malyshev returned to the main group while Ismaily and Mykyta Shevchenko trained separately. - After the game with Vitesse I was running a fever, - says Shakhtar midfielder Maksym Malyshev. - I could not train for three days. Now I feel much better. After the session, the coaching staff decided to play a game of 'tennisball'. 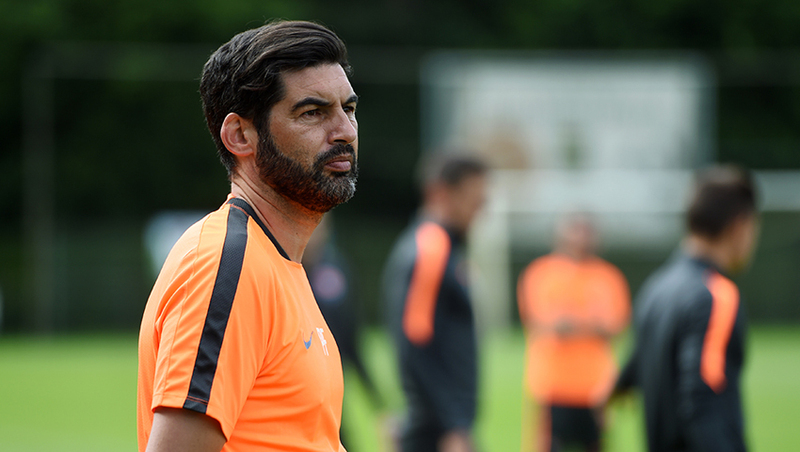 Paulo Fonseca's team included Nuno Campos and Pedro Moreira, while the opposing team consisted of Miguel Cardoso, Igor Duljaj and António Ferreira. Tiago Leal acted as a referee. In a bitter struggle Miguel Cardoso's team won with the final score being 2-1. TV channel, or follow live stream text online on shakhtar.com.